Advanced high-performance apparel currently consists of two sectors, sports and fitness and protective clothing. In its broadest sense, it can be defined as apparel or clothing that is designed to perform or function for a specific purpose—which in every practical sense could also be expanded to include health and well-being, which bridges across both sports and protection. The global market for performance apparel (sports, protection, and health) is currently estimated to be in the region of$6.5 billion, and all three sectors are reported to have strong predicted growth. 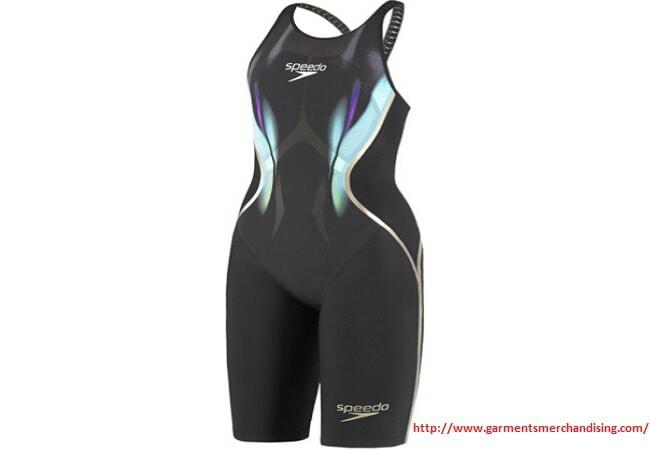 Fig: Speedo high-performance fastskin LZR racer X. A report from Markets and Markets (2015) predicted that the protective-clothing sector will reach in excess of $9 billion by the end of the decade (a growth rate of 6.2%). This is primarily due to changes in health and safety legislation in the developed world, which are placing stricter demands in terms of thermal, mechanical, and chemical applications required in protective clothing. Similarly, there has been strong growth reported in sportswear; Euromonitor claimed an increase of 7% between 2009 and 2014 on the global retail value of this sector and reported the strongest performance for 7 years (2015). This is in part due to the developed world’s campaign against obesity, by emphasizing healthy lifestyles and the trend to purchase sports attire for leisurewear as opposed to sports participation, thus, opening up this sector to a larger market. The global sportswear market is expected to grow to $300 billion by 2017, which will open up significant opportunities for both warp and weft-knitted high-performance apparel manufactured from advanced fibers, which in turn are engineered into innovative structures to provide superior functional and performance properties. The knitwear sector in the developed economies has faced many challenges in its 160 years history, not least those posed during the 1990s with the increase for lowcost fast fashion production, which lead to the trend of off-shore production in the traditional apparel sector (Chapman, 2002). However, this has given the opportunity for the European fashion and textile sectors to diversify into high-value manufacturing. The traditional knitwear sector in developed economies has embraced this wholeheartedly, with a dramatic shift taking place during the early millennium to niche manufacturing serving markets requiring smaller batch sizes with higher profit margins. There was a notable swing in Europe to the development of functional products or items that contained a high level of design innovation. This brought a number of challenges for knitted high-performance apparel. Firstly, high-performance apparel or even apparel with limited functional properties required a market demand. Initially, products commanded higher premiums, and therefore, a change in consumer culture was required. A prime example in the knitwear sector was the “seamless” (or less seams) circular weft-knit technology developed by Santoni. The technology opened up immense design and innovation opportunities (in terms of comfort, esthetics, and functionality) for intimate apparel and sportswear. Yet, a recent industry report acknowledged that in some areas of the fashion and apparel markets the technology still has a mystique. The advantages of this manufacturing method are well documented and include reduced side seam failures, improved stretch and recovery, increased comfort and better fit, enhanced esthetics (logos can be integrally knitted), health benefits (reduced chaffing due to removal of core seams), and the option of knitting different structures that can be engineered into different sections of the garments to improve properties such as compression, breathability, and wicking. Other challenges include a new product development process and a cultural change in relation to the process of advanced design. Apparel designers need to integrate into design teams, which have a broad range of interdisciplinary skills, and an increasing number of partners and agencies are required to understand and interpret complex testing data (including those from disciplines such as engineering, textile technology, and chemistry, to name a few). The need to collaborate is nowhere better demonstrated than in the development of advanced knitwear, where the design of the structure and fit of the garment are developed in tandem. This requires the design development team to have a detailed understanding beyond the production of the knitted structure. An understanding of advanced fibers, properties, structures, and pattern engineering and anthropometrics are now essential; therefore, the need to collaborate is evermore essential to maintain innovation and competitive edge. One case study is that of the development of advanced swimwear: Speedo reported that the development of their compressive racing suits takes in excess of 3 years (Above figure). The functional design is based on extensive research into how sharks glide through water (known as biomimetic design). A number of unique materials have been developed, but the latest Speedo suit Fast skin LZR Racer X uses two fabrics Comparex and Pulse Lite. The Comparex offers one way compression (in the horizontal direction) and stretch in the vertical direction within the same fabric. The Pulse Lite is a lighter weight material that is designed to improve. This unique combination of woven and knitted fabrics is blended perfectly to reduce drag in the water. The fabric design allows the water to be sucked closer to the body, which then passed over the swimmer far more effectively than conventional textile structures. However, due to the success of the swimsuit in terms of improving performance in the 2008 Beijing Olympic Games and the 2008 European Short Course Championships, the rules were changed for competitive swimming; now, full-length swimsuits are not permitted in competitive swimming at the highest level, thus illustrating the need to consider the life cycle and relevance of the product during the initial design process. Fastskin LZR Racer X is still considered the ultimate performance swimsuit and was developed using the latest technologies and global expertise, including biochemist, gaming experts, and sophisticated computational fluid dynamics specialists. You may follow: Why CAD and CAM Technology is Important in Textile and Apparel Industry? While knitting technology has constantly been innovating, with new machinery designed specifically for seamless knitwear, multi gauge technologies, and more recently machines specific to shoe production, the global markets are only beginning to recover from the global financial crash during 2007–08. The period of heavy investment in textile machinery between 2003 and 2007 came to a sudden end in 2008, and while there have been some recovery, this has affected the advanced knitting sector substantially both in terms of new product development and skilled operators/ programmers. Advanced knitting machines capable of producing high-value functional apparel require highly skilled programmers and designers with technical understanding. This is an area that has been traditionally problematic within the knitting sector. Numerous research publications including Brackenbury (1992), Eckert (2001) Black (2002, 2005), Sayer, Challis, and Wilson (2006), Power (2007), and more recently Taylor and Townsend (2014) have acknowledged this to be the case. Power (2007) identified that technical developments in the knitting sector have been hampered by two factors. Brackenbury (1992) identified these to be firstly the skills of the designer and the technician’s ability to program complex patterns and secondly the time factor—prototypes take longer to develop. This gap appears to widen with the advent of more complex technology. Black (2002) acknowledged that designers and technologist struggle to keep up with the opportunities afforded by the latest innovation, and more recently, Taylor and Townsend (2014) concluded that advancements in technology have led to a wider skill gap between the knitwear designers and the technology. Furthermore, it is reported that even after 20 years of complete weft-knitted garment machines, the technology is not being used to its full commercial potential. This is primarily accredited to the skill gap acknowledged prior, which further emphasize the requirement for change in how advanced knitted products are developed. There is now more than ever the need to create interdisciplinary design teams. The challenge is to create new epistemologies in terms of effective processes in design development for knitwear; increasing the technical knowledge of the designer and the programming skills of the technician will ultimately result in an increase in innovative functional design in both apparel and beyond. What are the major challenges in advanced knitting technology for high-performance clothing? What are the advancement of high-performance apparel in current manufacturing industry? What are the Importance of high-performance clothing in our daily life? Major applications of high-performance apparel.